How would an energy-based “projectile” blow up a spaceship? I have noticed this in many fictions: during a battle between spaceships exchanging fire in empty space, a pulse of laser fire hits the hull and the entire spaceship explodes into many pieces. Is this possible? Wouldn't the surface of the spaceship absorb all the energy from the pulse and burn? Could an energy-based projectile pierce through many layers of structure and blow up the engine, in blatant disregard of the Beer-Lambert law? I'd think that even a pressurized compartment wouldn't explode that violently if opened to vacuum by the shot. Wouldn't the surface of the spaceship absorbs all the energy from the pulse and burns? It might or might not absorb all of the energy, depending on what type of weapon is being considered (different wavelengths of laser light and different types of particle will have different properties). However, it won't burn in the sense you're probably thinking - the amount and, crucially, concentration of energy involved is enough to reduce parts of the hull to plasma. This is the principle of laser ablation. Plasma is much less dense than solid matter, e.g., hull plates. As a result, it expands violently as it changes phases. In other words, it explodes. One interesting side effect is that if the explosion is too small to simply tear the ship apart, the ship will tend to direct the force outward. The plasma is propelled away from the ship, and as a consequence, the ship is propelled away from the plasma - making it look like laser strikes are physically knocking the ship around. Even pressurised compartment don't explodes that violently am I right? Of their own accord, they cannot. Depressurization is not generally as dramatic as shown in movies. These kinds of incidents (when they aren't made up out of whole cloth) tend to be based on airliners that suffer damage to the fuselage, which can indeed rip apart dramatically - but that's because airliners are flying into 500 mile per hour winds. Spacecraft obviously are doing no such thing, and the atmospheric pressure within isn't sufficient to do much damage. However, if an energy weapon manages to strike through the hull, it will turn the air inside to plasma just as readily as the hull (even more readily, in fact, since it can skip a few endothermic steps along the way), destroying the ship from the inside. And, as AlexP points out in comments, there's always the possibility of touching off secondary explosions from sources like fuel, weapons, or volatile parts of the life support system. Can energy based projectile pierce through many layers of structure and blow up the engine totally disregard beer-lambert law? 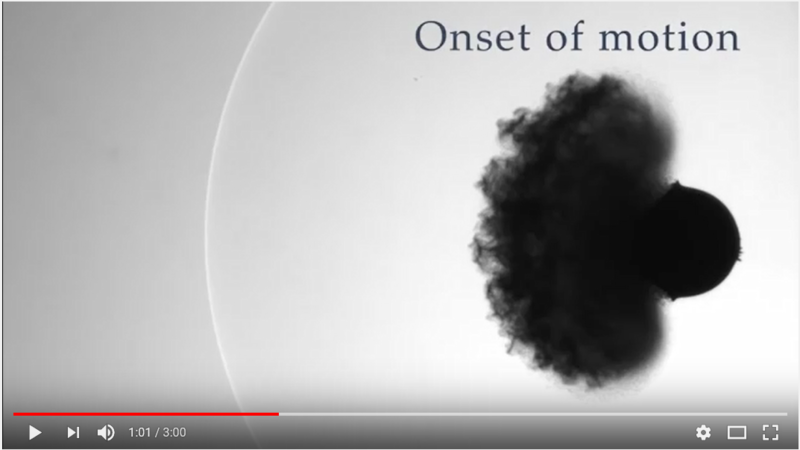 Give a look at this video showing the effect of a laser pulse on a droplet. If the beam is energetic enough in the right wavelength and its dynamic is shorter than the dynamic of the targeted ship, it is plausible that the explosion happens in a dramatic way. The video again shows good example of such behavior. A laser pulse is nothing else than concentrated light which carries an enormous amount of energy. If that beam of light hits the hull of a ship, the energy is transferred to the material of the hull (or penetrates it, depends on the wavelength and the material), which then is evaporated and turned to plasma. This plasma is expanding at incredible velocity, not unlike an explosion, and damaging other parts of the ship and the hull. The overall effect would be similar to a bombardment with HE-grenades (HighExposive). Additionally, not every bit of the transmitted energy is going into the plasma, a certain amount will remain on the ship as heat. In a realistic setting, dissipation of heat is a major concern for a spaceship, and if the heat influx is greater than the heat outflux... well, I hope you like saunas. Note: I am using heat as an example of energy. Similar explanations exist for other types of energy but heat is the easiest to understand. If I unleash a flamethrower on your front door, is your house going to distribute and absorb the heat? Or is the door doing to break down first? Heat can only dissipate at a given rate in a given material. If you apply more heat than can be dissipated, then the area you're supplying the heat to is going to heat up considerably more than the other parts. If a common material could handle it, then the laser weapon wouldn't be a good weapon. If hulls in general could handle it, no one would have ever needed to develop shield technology. The hull melts, it creates a hole, and your laser will now be shooting through the hole, hitting the next thing in its path. This same thing keeps happening over and over, until there is nothing blocking the laser's path anymore. Maybe that happened because it was a clear through-and-through. That wouldn't blow up the ship, but it would of course still be a severe hull breach. Otherwise, you may have hit a critical component of the ship, which exploded the ship to pieces, thus "removing" anything else for your laser to hit. Maybe the explosion is localized and only breaks the ship in two, or maybe it just blows a massive hole in the hull, or maybe the explosion travels through the entire hull. Drawing from common scifi material, mostly Star Trek in this case, ships are capable of targeting specific parts of their enemy (the engines, the shield generator). Probably because they have some anatomical knowledge of their enemy's ship type. This means that you could intentionally aim your laser so that you know it will hit a volatile or explosive component (e.g. fusion reactor). This can be an explanation as to why kill shots always blow up the enemy ship rather than disable it. A pressurized compartment decompressing is no different from a balloon emptying. At best, the water vapor in the air is going to be visible because outer space is much colder and may freeze the humidity. But other than that, not much will happen. Almost all spaceships have vast stores of energy on board. Military ships of course have a bunch of ordinance, even civilian ships have whatever powers their drive system. One way it could happen is Thermal Shock. The outer hull of the ship is likely to be very cold, because it is in direct contact with outer space. A laser or maser would be very hot. This temperature difference could lead to catastrophic failures of the effect sections. Plasma based weapons would also have a similar effect. The "swiss cheese" effect is not the only possible outcome. You are absolutely correct. Directed energy beams are just as much a bust for space military opera as 'energy shields'. In all of the tests of directed energy beam weapons, the best the US army has done is to put holes in the target. There just isn't enough energy in a directed energy beam to do much damage. Certainly not enough to cause a space battleship to be completely destroyed. Like using a laser pointer to 'destroy' a drone. And there would be no need for shields. Plating and other such coverings on space ships would be much more effective, as well as being passive. 'We lost power to the shields, captain!' just doesn't cut it in warfare. But special reflective coatings, materials with super efficient heat transfer abilities, special hardened plating against radiation (lead as an example) don't suffer from power loss, and would be much more effective, making directed energy beams pretty much useless. At best, 'shields' would be surface charges on the outer skin, sort of like an electrostatic surface charge. Kinetic weapons will always win out. Less dramatic, but more effective. So why do sci-fi writers insist on using them? Perhaps because of the very false belief that exploding percussion weapons don't work in space. 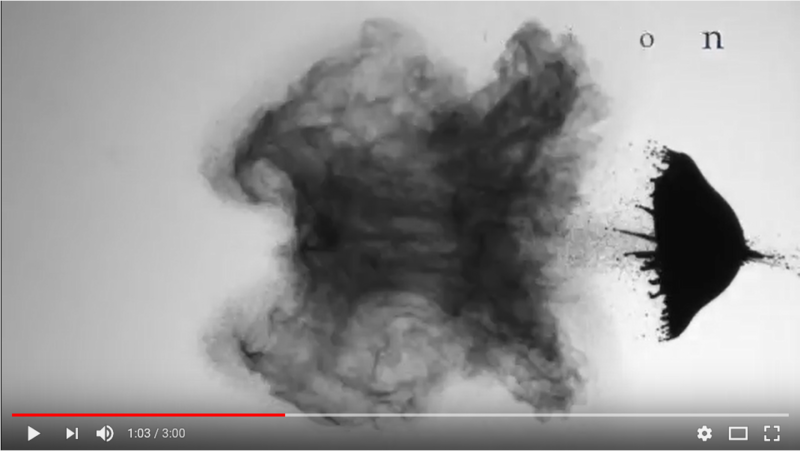 The explosive gasses and materials from the explosion don't just vanish, they continue in a 'wave' of energy equivalent to the original energy of the explosion. 'Shrapnel', if you will. And maybe because of the problems with targeting projectile weapons. Space is huge, and so the battling space ships would have to be very close together in order for evasive action to not be effective. A 'speed of light' weapon is always much more dramatic and immediate than the slowness of space missiles. Imagine how boring it would be if the antagonists had to wait fifteen, twenty minutes for the missiles to get to their target, which of course would no longer be there? 'Fire missile tubes three, four, and five! Now, go for a coffee break and wait to see what happens!' just doesn't generate a lot of suspense. Yet, even directed energy beams take time to travel through astronomical distances. Or more specifically, a 'space military opera' wouldn't be very entertaining without huge battleships, and even bigger explosions. The stories are written for us earthlings, who think about space warfare as simply naval warfare translated into space. Huge battleships facing off against each other. But it is more like air warfare. There is no advantage to huge 'battleship' fighter planes. Smaller and more maneuverable is better than huge, ungainly and easily targeted blimps. But my money is on the simple point that space military opera sci-fi writers in general are just not creative enough (lazy?) to think of anything other than the 'same old same old' stock-in-trade directed energy beam weapons. The readers accept it, the writers need to churn out their works quickly, and so they fall back on the same tried-and-true memes. No need to be creative, when you can fill your story with mega explosions, fancy energy beams, impenetrable shields, and huge ships blowing up with loss of all lives and the book will sell. But the truth is, real 'space warfare' if it ever happens will be boring, slow, plodding, and 99.99999% uneventful. Not really the stuff that makes for good high-suspense action-packed seat-of-your-pants fiction. So, sci-fi space opera warfare will continue to be energy beams and 'shields up' and huge battleships exploding in space, with the reality hand waved away. The energy weapon itself passes straight through the ship without imparting momentum. But all the matter along the way is converted into new and exciting forms of plasma and radiation, which expands outwards and this is the resulting explosion. We're talking a fission/fusion reaction but not a self-sustaining one. I'd imagine a beam weak enough to be absorbed by the ship probably wouldn't be strong enough to do the nuclear stuff above. And a beam strong enough would probably pass straight through, effectively wasting most of the energy. That makes the weapon tremendously inefficient which is the real problem with beam weapons. All the Beer-Lambert law says is the beam will do at least as much direct damage to the first few layers as it does to the engine itself. You cannot design a beam that say punches through several layers of bulkhead and then detonates inside the cockpit. But we could still cause the engine itself to detonate by hitting it (and everything in between) hard enough. This raises a bigger problem: Presumably this engine is nuclear and thus designed to resist rupturing from the nuclear forces inside it. So it might be hard to rupture it using a nuclear based weapon from outside. It would probably be easier to just it hard enough that it stops working but doesn't explode. Thanks for contributing an answer to Worldbuilding Stack Exchange! Not the answer you're looking for? Browse other questions tagged science-fiction spaceships energy explosions space-combat or ask your own question. energy based super weapons in space, realistically possible? What would we see of a devastating interstellar war between alien civilizations within 1000 Ly? How to blow up an alien skyscraper? How to monetize free energy without revealing its existence? What exactly would a spaceship crew do, during a battle? How much energy can be harnessed from grave rolling? How to process crystal based source of energy into liquid form? How would I gain energy from a rotating planet? Restricting the options of a lookup field, based on the value of another lookup field? What does "function" actually mean in music?